ENT doctors specialize in treating the ears, nose, and throat of patients in all age ranges, from infants to the elderly. The focus of ear, nose, and throat doctors can include things like diagnosing and treating earaches, recurring sore throats, allergic reactions, and headaches. In many cases, your primary doctor may direct you to an ENT specialist for these issues and others. In other situations, you may encounter a recurring problem or symptoms that are concerning and choose to seek specialized care yourself. The practice of treating the ears, nose, and throat is referred to as otolaryngology, a specialized branch of medicine that also focuses on treating related areas of the head and neck. Ears: ENT specialists treat the total ear and any possible problem that can occur. They check for ear infections and any type of hearing issue. The ears can also point toward problems with balance or the nerves located around the face, in addition to the cranial cavity (which surrounds and protects the brain). ENT doctors also check for any growths that are located in the inner or the outer ear. They also seek out potential causes of recurring ear infections, which is a common problem seen among pediatric patients. Nose: An ENT specialist will check the nose for suspicious abnormalities and also examine the sinuses and nasal cavity for issues with allergies, breathing, and the sense of smell. Throat: An ENT specialist might check the throat for problems associated with sore throats, like infections. Additionally, they examine the larynx, or voice box, and the esophagus. Problems with breathing or swallowing can be detected by examining the nose. Head and Neck: Ear, nose, and throat doctors are trained to check for infectious diseases, tumors, thyroid problems, and any type of facial issues or deformities. Surgery to correct abnormalities may be performed. Further, our experienced group of physicians is trained in providing a full range of facial cosmetic, reconstructive, and aesthetic surgery, so you can be sure your medical procedures are performed with the most knowledgeable surgeons available. ENT doctors also diagnose and treat sleep disorders, such as chronic snoring and sleep apnea. Sleep apnea affects more than 12 million individuals in America, and is characterized by a complete pause of breathing during sleep. For some concerns, sleep studies may need to be performed in order to determine the severity of the problem and to determine the best approach to treatment. Do ENT doctors go through special training? In addition to medical school and postgraduate training, ENT specialists undergo several years of specialty training in order to be certified. Their training includes a one to two year fellowship in their area of interest. This special training and education is what allows ENT doctors to be able to thoroughly understand and treat things like nosebleeds, tonsillitis, ear infections, hearing loss, dizziness, hoarseness, adenoid issues, and sinus problems. 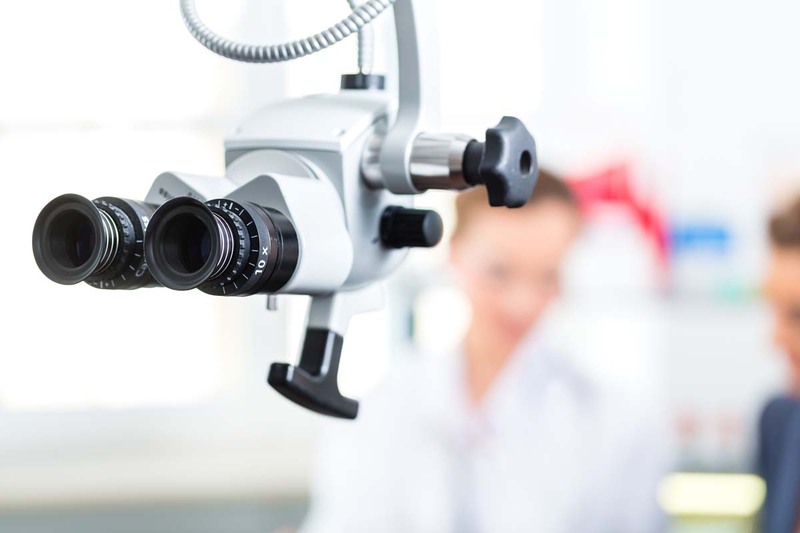 Our staff members are board-certified otolaryngologists and are also members of the American Academy of Otolaryngology-Head and Neck surgery. In addition to providing diagnostics and treatments for patients, we also teach medical students and physicians who are training in the field. Our surgeons are consistently invited to lectures and research presentations on the national and international levels. When should I visit an ear, nose, and throat doctor? One of the most compelling reasons to visit an ENT doctor for any ear, nose, and throat concerns is the prevalence of cancer. Lifestyle habits such as alcohol and tobacco usage are main causes of cancer in the mouth, throat, voice box, and tongue. Additionally, continuous sunlight exposure is linked with lip cancer, in addition to skin cancer. Early detection is key in treating cancers of the ear, nose, and throat, so you should contact our ENT doctors with any signs of concern. The medical professional team affiliated with the University of California Irvine Department of Otolaryngology-Head and Neck Surgery consists of a dedicated group of scientists and physicians. The care provided for our patients through our locations is unparalleled. Contact us with any concerns or second opinions that you are seeking. We can assist you with your questions and concerns.